The aim of B.R.E. Productions International Inc is to create an affordable "synergy" to bridge the gap and provide avenues to actively and positively promote, encourage and give a voice to all those who have a keen interest and love for the Movie Industry, Music, Performing Arts, Fashion, Pageantry and the Creative Arts - regardless of age, abilities or stature to grow and nurture their talents and develop the confidence required to be a success in the business to bring to the forefront the iconic extravagance which soon herald Atlanta one of the most prestigious "Entertainment Capitals Of The World"
Brian McGee is a native New Yorker. ​From the age of 2, Brian expressed an unusual passion and talent for drawing, probably due to the exposure to his Father's raw talent having, spent hours watching him draw portraits and doodles. Although, in his youth, Brian participated in many extra curricular art programs, formal training did not begin until he was accepted into New York's High school of Art & Design. It was there where he focused into the path of Illustration. Brian started his professional career as a toy Designer for the now defunct Happiness Express Toy company. For 3 years he fine tuned his craft and developed his work ethic. In 1996, Brian was hired as a character artist and relocated by the Walt Disney company to Burbank California thus further refining his skills. To Brian this was his second college. After 5 years with Disney, Brian decided to delve into a new more independent career. A self proclaimed cinemaphile, Brian busied himself with the idea of becoming a storyboard artist, thus marrying his 2 passions. He worked for several well known film directors on music videos, commercial spots, and major studio feature film projects such as Biker Boyz and 2 Fast 2 Furious. and many other luminaries within the film and TV industry. Brian is also a regular storyboard artist for AMC's "The Walking Dead", Netflix's "Ozark", Fox's "The Gifted", and NBC/Universal's "Good Girls" series. And, Brian's wife and partner in crime is Audrey Beharie-McGee. 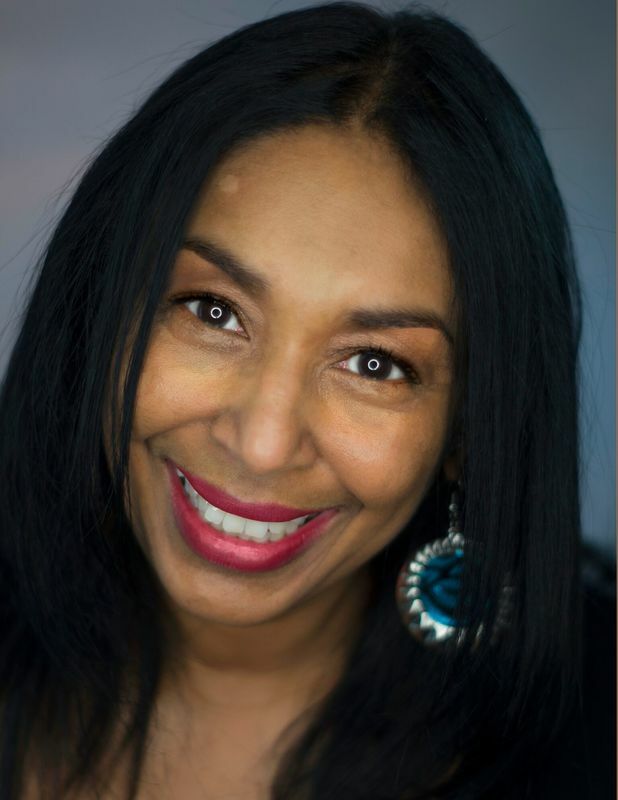 Audrey has been involved in the music, entertainment and associated industry for over 35 years and has worked for some prestigious and well known music industry orientated contact so has a vast experience in the world of music, beauty and entertainment. Audrey was trained at The London Academy of Modeling in London, England by the renowned modeling coach, writer and body language expert, Judi James, who has trained some of the biggest names in the industry including the amazing international British supermodel, Naomi Campbell. And, 1983, she was signed by Sir Peter Waterman, the owner of PWL Records and All Boys Music, as a singer/songwriter and then signed a major recording contract with Polydor Records. Whilst signed at Polydor, Audrey also worked for MCA Records in London with the stellar and reputable major acts signed to the label in their London office as a Promotions Coordinator creating promotional tours, campaigns, liaising with key contacts at radio across the UK, and being a perfect Ambassador for MCA and the roster of artists. This would allowed Audrey to be able to “marry” and see the workings of all facets and mechanics of both sides of the industry – as an artist signed to a label and as the record label itself label – and forge out an extension of her experience, knowledge and wisdom within the business. With the skills, experience and insight gained from her opportunities, and concentrated on applying these talents, Audrey formed her own label to promote their product, devise marketing strategies and sell to record shops, distributors both domestically in the UK and abroad. And, after 29 years, you are still able to purchase the track on Ebay or Amazon!! And, in 1988, she had the honor to work for Sir Paul McCartney, the late Linda McCartney and The McCartney family at their private offices in London, UK. In an event to give something positive, tangible and inspirational to the up-and-coming talent, Vocal Zones/B.R.E. Productions and Hourglass Studios was born in 1996. Without any funding whatsoever, Audrey went about creating a safe shelter, inspiration haven and nurturing environment to a great many raw but talented individuals, up and coming producers, engineers and songwriters using her skills acquired, vocal and performing arts as a vehicle where she would coach, mentor and inspire in whatever way she could to allow them to make excellent inroads into their careers, to make them bloom, blossom and thrive under the protection of her wings. If you ask Audrey, she will always tell you that this truly was God's Gift to her to be able to fulfill a divine purpose and that "she" herself is just the "humanity" required to do so. Over the past 21 years, also staged in excess of 60 talent showcases and events in the UK which she felt was necessary to allow the growth of confidence and hone and perfect their personal and performing arts skills. "From Small Acorns, Great Oaks Grow"